Science has known for years that Alzheimer’s disease and type 2 diabetes are connected, but new research from Albany University suggests the mechanism by which the association forms implicates Alzheimer’s as a product of late-stage diabetes, due to the way increased insulin production stops destructive amyloid plaques from getting broken down. The research team presented its findings, which are still in the preliminary stages, at the annual Society for Neuroscience meeting in San Diego. Through their investigation, the team found that because type 2 diabetes — the most common form of the disease — causes people’s bodies to overproduce insulin, as a result of high blood glucose, the excess insulin trickles into the brain. Once there, it disrupts a key enzyme that normally erases amyloid plaques, a build-up of which scientists have suspected leads to Alzheimer’s. Without this erasure, the plaques accumulate and cognitive decline follows. Compared with some other stuff we put in our mouths, the trouble with alcohol might not seem to be a big deal for most of us who have diabetes. We all know, of course, that even a little alcohol can mean big trouble for those of us who can’t handle alcohol in moderation. More than 30 percent of adult Americans have “experienced alcohol use disorders during their lifetimes,” according to a 2007 study in JAMA Psychiatry. That study also found that 17.8 percent have alcohol abuse problems and that 12.5 are alcohol dependent. Our genes are responsible for about half of the risk for alcoholism, according to theNational Institute on Alcohol Abuse and Alcoholism. The other half is our environment, which includes our friends. If you were sure from your experience that you can handle a little alcohol and if you were a middle-aged or older man who didn’t have diabetes, a little alcohol might actually be good for you. That’s because the response of some people to different amounts of alcohol seems to be quite unusual. It’s not something that could be plotted on a straight line. Researchers call it a U-shaped or J-shaped curve, where among middle-aged and older men, abstinence seems to be a little worse than moderate consumption, while heavy consumption is much worse. (HealthDay)—Type 2 diabetes patients who suffer depression also have more significant mental decline than those without depression, a new study finds. Diabetes and depression are common among older people and up to 20 percent of adults with type 2 diabetes have major depression, according to background information in the study. In addition, both of these disorders appear to be associated with an increased risk of dementia. "Both depression and diabetes have been identified as risk factors for dementia in general and Alzheimer's disease in particular," noted Dr. Marc Gordon, an expert not connected to the new study. Researchers led by Dr. Mark Sullivan of the University of Washington, Seattle, tracked outcomes for nearly 3,000 people who had type 2 diabetes and were at high risk for heart disease. The patients' thinking and memory (or "cognitive") abilities and levels of depression were assessed at the start of the study and the participants were followed for 40 months. Benefits Britain 1949 (Channel 4) was another time-travel bootcamp. You know the type. The sub-genre of documentary that asks such bold questions as: how will modern schoolchildren cope spending a week as Victorian mudlarks? Or what happens when three dads try to live by the laws of 12th-century Russia? Or what will young mum Sarah learn when she agrees to give birth in Latin? Excuses, one and all, to bother and berate people on some flimsy historical premise until they burst out crying, and have the narrator conclude: "Well, I guess we've really learned something." In for an old-school bothering this week were benefits claimants Karen, Craig and Melvyn. Karen had arthritis, diabetes, heart problems and high blood pressure. 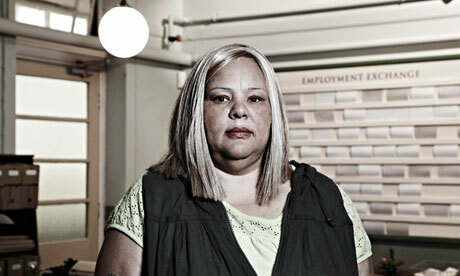 This year, after three decades of employment, she was judged incapable of working, and granted benefits of £155 a week. Wheelchair user Craig had spina bifida but was determined to find work. In the past three years he had sent out more than 1,000 job applications and received, in return, five interviews and not one job. Melvyn was 75 years old, a widower, and getting by on his state pension of £134 a week. And if you read all that and thought: "I'd love to see those three weeping," you were in for a treat.